Chapter 13 Can you drop everything and do this with me? Hi, this is my story. I decided to write it in a book format so that I could share it. 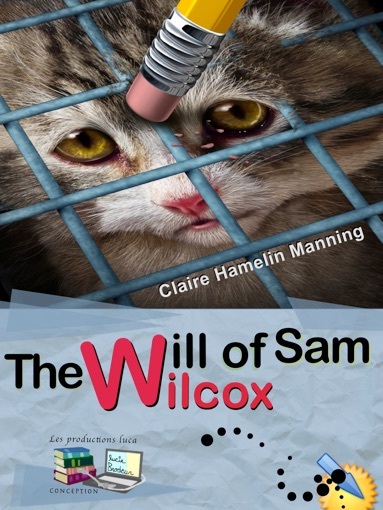 It is a story like no other; I call my story: The will of Sam Wilcox. I am in my fifties and decided with Colin, my husband, to make this story known. We have so far had an exciting life together and I am glad to share this with you. After paying the cab driver his fare, Lucie closes the cab door in front of a beautiful condo tower surrounded by red and orange maple trees. She walks towards the tower, making sure that she is at the right address Miss Alexandra Thompson had given her. Here Miss Thompson. Here is Sam Wilcox’s will for you to read. I need you to do a few favours for me and in exchange, I am giving you 100M$. The amount will be given to you when you have accomplished every single request that I am making in this letter. After completing these, one by one, you will receive the money from Mr. Mike Karce. You are being provided the wherewithal to enable you to take a leave of absence from anything you are currently doing for the duration of the time needed to complete these tasks. It is, I believe, a reasonable amount for all necessary needs during this endeavour. Here are the conditions I have put in place in order for you to receive the funds I have bequeathed to you. Since my retirement, I have engaged myself in working towards making changes in the areas of animal cruelty and finding the real reasons and individuals behind the increase of dangerous drugs that are being more and more prescribed resulting in increased bad side effects and more often deaths, including continuously expanding the drugging of young people and the elderly. I have lost friends due to prescription drugs given to them by doctors to handle physical illnesses. Some of these drugs have not been fully tested or the adverse effects covered up and they pose a great danger to those who take them. This is happening more and more often and has gotten to a point where it presents a large problem in our health field. 1- As I used the service of a private investigator, you are to go to the provincial legislature and submit these documents for me. This is a major proposal that I feel will be approved regarding the enforcing of this anti animal cruelty bill that has been accumulating dust on desks for many years. The bill can be revived with this document and I am confident that you will be pleased to read and then submit to the present government. My arguments and proofs are very good and will make a solid case for you. 2- Once successfully submitted, you are to get with your government representative and get his agreement to get this bill approved as a law. The purpose of this law is to make it illegal for anyone to own puppy mills anywhere in the province and the actual pharmaceutical and cosmetic companies are, upon approval and activation, prohibited to use their services. If this gets violated, the results can include the closing of their research facilities. The end result will be that you’ll have solid laws in place with many animals’ lives saved. I have seen lots of signed petitions to get these companies to cease committing these unbelievable cruelties and they have not changed a thing. Now, I am giving you the possibility you’ve been looking for. 3- I want you to create your own animal protection Foundation. Here is the information for it, I have enclosed $50,000 plus the services of a web designer along with the address of the building I have bought under your name in Old Montreal. Everything is ready for you, all furniture; all the I.T.1 is installed with the latest imaginable security services that I have also paid for the next 10 years services. The taxes and community services are also paid once a year for the next 10 years. You can hire up to 5 persons to administer your Foundation. The salaries are also covered and are indexed to the current cost of living. The purpose of your Foundation is to provide the care and services for the animals of your choice. You have a great 10,000 square foot building that you can use for shelters, hospitalization and adoption service to the city and the province. I have unfortunately realized that the majority of the existing groups euthanize more animals than they save. Most of the money is being pocketed towards the individuals running the place than providing the necessary care of these animals. So, do not trust them, they have the same agenda being financed by the cosmetic and pharmaceutical companies who use these animals they pretend to save for their next fragrance, make up, shampoo, lipsticks, their best cat and dog food and drugs. This is all covertly done. In your life, have you ever wished to inherit a huge sum of money? How much effort would you be willing to put in to obtain it? Are you affected by the cruel treatment of animals? See how Alexandra takes on the challenge. Does she succeed? Read the book and find out. 2 hours of captivating reading.